Lucky day here. 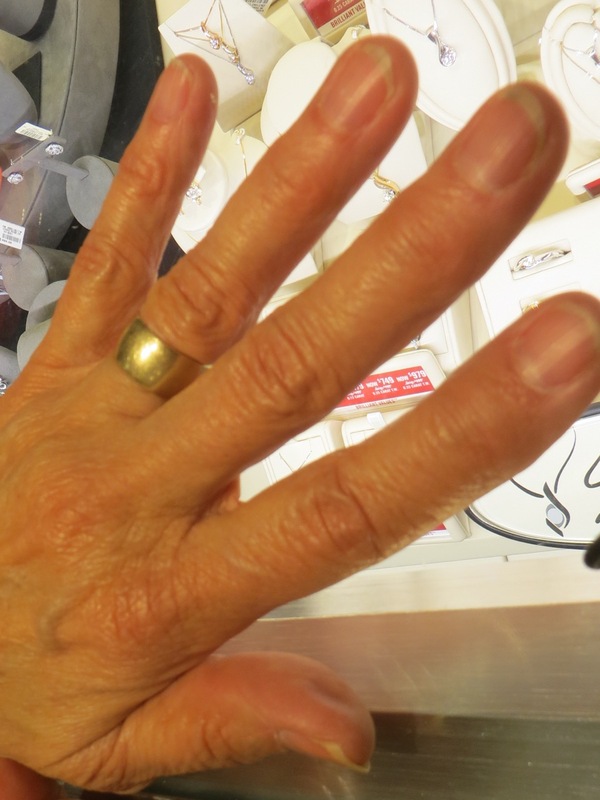 My wedding ring of 45 years this April, had been missing for over 9 months. I knew the day it went missing, knew I’d put it on that day….was sure it had slid off my finger and disappeared forever. I had been wearing it on my baby finger as it had become too small for my wedding finger, but it was a little loose on that baby finger. Now that the ring has reappeared…found at the bottom of my sweater drawer where it was all this time!…must have slid off there…well, now I’m getting it resized to fit my wedding finger properly, so it can be on it for the next 45 years….